Synopsis: "Sometimes I still wake up shivering in the early hours of the morning, drowning in dreams of being out there in the ocean that summer, of looking up at the moon and feeling as invisible and free as a fish. But I'm jumping ahead, and to tell the story right I have to go back to the very beginning. To a place called Indigo Beach. To a boy with pale skin that glowed against the dark waves. To the start of something neither of us could have predicted, and which would mark us forever, making everything that came after and before seem like it belonged to another life. My name is Mia Gordon: I was sixteen years old, and I remember everything...."
After getting dumped by her boyfriend, Mia is looking forward to spending a relaxing summer in the Hamptons with her glamorous cousins. But when she arrives she find her cousins distant, moody, and caught up with a fast crowd. 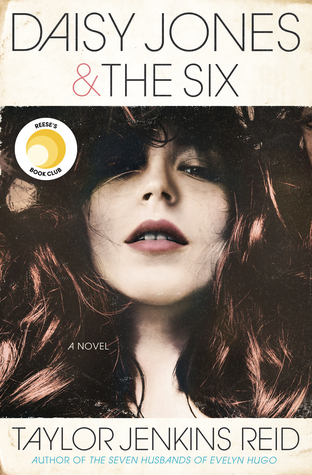 Mia finds herself lonelier than ever, until she meets her next-door-neighbor, Simon Ross. And from the very first time he encourages her to go skinny dipping, she's caught in a current impossible to resist. Timeless in feel, The Summer of Skinny-Dipping is a poignant, literary coming-of-age romance that will live on long after summer has ended. Thoughts: Don't let the title fool you. This is not the light read it seems to be. Sure, there are cute summer moments that make you go "awww" but it also deals with issues teenagers face today. For example: dysfunctional families, self realization, first loves and loss of innocence. Mia and her family decide to spend the summer at her Aunt and Uncle's house in the Hamptons. After breaking up with her cheating boyfriend, this seems like Mia's perfect chance to escape and reconnect with her cousins. Sounds simple, right? Well, in the land of teenagers, things are rarely simple. From the instant Mia steps foot onto the beach house, she couldn't feel more lost. Her cousins are the stereotypical rich New York snobs you've heard and read about. All they care about is hooking up with hot rich guys and partying all summer. Especially when one of their rich friends joins them. At first, Mia tries to fit in. But like a needle in a haystack, she finds herself becoming more distant and lost. One night, after being ditched at a party, Mia meets Simon. Simon isn't your typical rich kid. He's funny,artistic and a fan of The Great Gatsby. Mia's natural reaction is to pull away from Simon, but the more she pulls away, the harder he tries. Then they begin meeting late at night to swim, to talk, to be together. Soon, Mia's summer is beginning to look a lot more perfect than she expected. Of course, all good things must come to an end. Mia soon begins to discover secrets about her aunt and uncle, cousins, her parents and Simon's parents. But nothing can stop Mia and Simon from falling in love. The only thing is, what will become of them once summer ends and both must go their separate ways? When I first started reading this, I thought it was really sweet. The story dragged at times and it felt like the author was being too "wordy." Nonetheless, the story was still adorable. What I liked about it was the fact that it wasn't too overly cute. It also dealt with real issues teens face today. Just like a book, you can't always judge someone or something by the cover. Perfect families are usually the ones with the most problems. Mia thinks her aunt and uncle have the perfect relationship. As summer progresses, she realizes how untrue it really is. Simon and Mia are completely adorable. I loved their late night swims and the reckless way Mia becomes when she's with Simon. In a way, he frees her and helps her realize who she really is. And she helps him too. She gives him someone to turn to when nothing feels right. Now, to me, an ending of a book is like the icing on the cake. It's very important. Without a good ending, I won't be able to really enjoy the book. Cliffhangers, while I hate them, can still be alluring. Same with tragedies. In this case, I felt the ending did not fit the tone of the book. At all. It seemed to come out of nowhere and felt like a bit of a cop out. With references to The Great Gatsby being stated earlier on, I thought maybe the author was trying to connect the two. While I KIND OF get it, I still feel like it could've been done better. To be quite honest, the ending left a sour taste in my mouth. It actually made me mad and not want to reread this book. 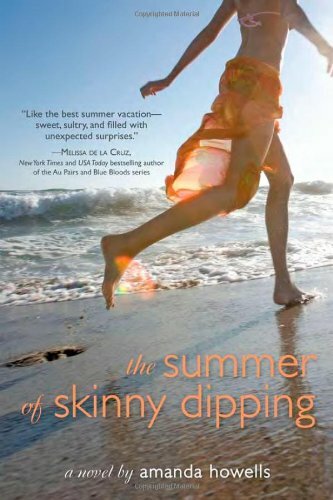 Overall, The Summer of Skinny Dipping is a cute-serious-romantic book with, at times, slow pacing and a horrible ending. Some people loved this book. But personally, I did not care for it. Remember, I'm just one person. My advice to you is to read what other reviewers had to say. Some will agree with me and some won't. If you do read it/have read it, let me know what you think. I'd love to hear from you! This one sounds really good, I'll definitely check it out. Great review!